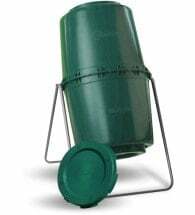 The natural alternative to chemical fertilizer! 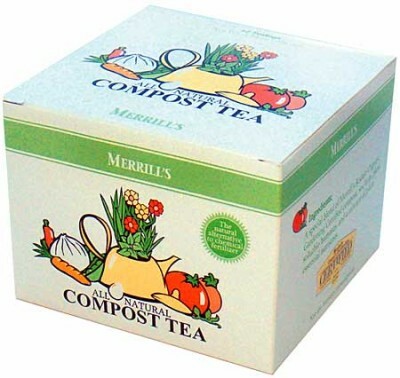 Merrill’s Compost Tea Bags are easy to use and require NO special equipment. Works to restore your soil’s natural ecosystem and promote healthy, thriving, glorious plants… of all kinds! • Adds life to soils — naturally! 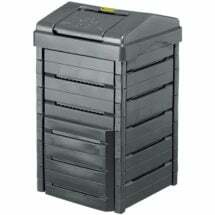 Use year-round indoors or out. Add to one gallon of fresh water and allow to steep for 10-15 minutes. Apply to leaves as a foliar spray or on the soil as a root drench. 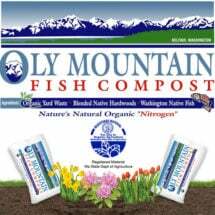 Ingredients: Composted poultry manure, sea kelp, plant soluble humates, endo micorrhizal fungi and a mixture of plant essential nutrients. 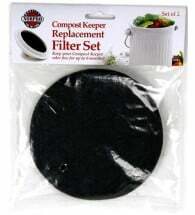 Contains 2 specially designed charcoal filters that will last for up to 6 months.